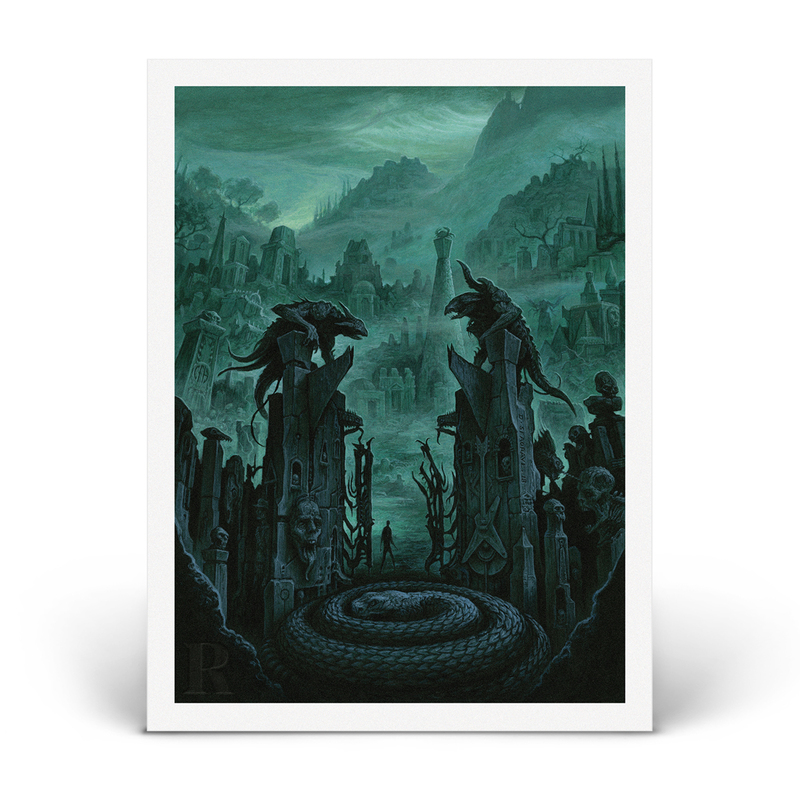 / Pantera "Cemetery Gates" Print - Only 250 Available! 18” x 24” print of Pantera inspired art by Dan Seagrave, featured in the Aug/Sept 2018 issue of Revolver. Hand numbered and embossed by Burlesque of North America. Only 250 available! JUNE/JULY 2018 Cover Print Featuring Ghost - SIGNED BONUS PRINT - Only 50 Available!